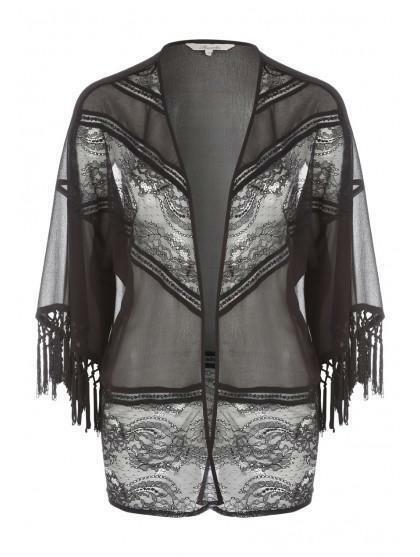 Take your collection of party wardrobe cover ups to stylish new heights with this women's black pretty lace kimono. With a sheer design and tassel trim sleeves, this kimono is perfect for giving party looks an elegant Oriental inspired finishing touch. It was too small, but that was because there was only small available and I ordered it to try it but I had to send it back.